The conference is hosted by the Department of Arts and Technology (A&TECH), Hanyang University. Hanyang University is one of the leading private research universities in Korea, especially in the field of Engineering which is ranked 155th in the QS World University list in 2018. As the Engine of Korea, Hanyang continues to maintain its reputation as the leader of innovative brainpower. The ACM TVX2018 conference will take place in the Hanyang Institute of Technology (HIT) Conference Hall (6F). This building, a landmark in Hanyang University, is the home to 27 university research institutes and 17 start-ups. All conference areas are fully accessible by weelchair. An elevator is available to access conference areas that are on levels below or above ground. 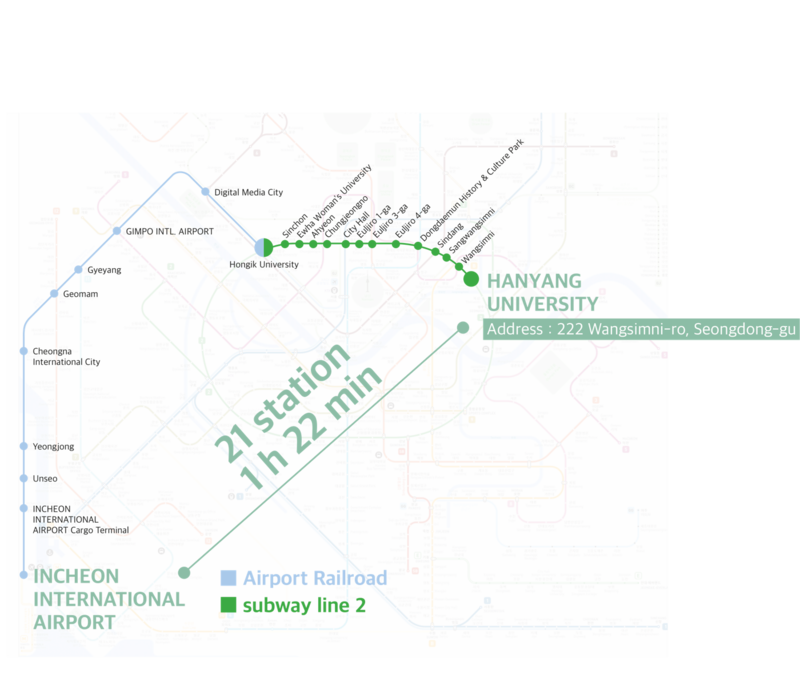 Hanyang University is located in the center of Seoul and you can reach to Hanyang University Station on Subway Line number 2 (Please see the attached image for more details of how to get here). If you are attending ACM TVX2018 conference by your car, please park underground below the Hanyang Institute of Technology (HIT) Building (see the campus map below). Parking fees are free for conference attendees only.